My dear friend Shayda is an amazing vegan cook who just happens to specialize in Persian cuisine! She has taught me to make some amazing vegan Persian food, It happens to be no oil, no sugar, no flour and low sodium but it is big on flavor. She makes it all seem so easy and fun – you are going to love watching her cook. She is having a free cooking webinar on Monday October 15, 2018 at 6:00 PM Pacific time- you will need to register for it but don’t worry if you can’t watch it live – there will be a replay that you can watch at your leisure. Shaday had me recipe test this and it was fabulous! Easy – peasy too which I really enjoy when life is so busy. Who has time for anthing other than easy? This photo was taken in my kitchen the last time Shayda came to visit me. We always end up having fun in the kitchen! Please follow Shayda on facebook at Healthy Cooking With Shayda. 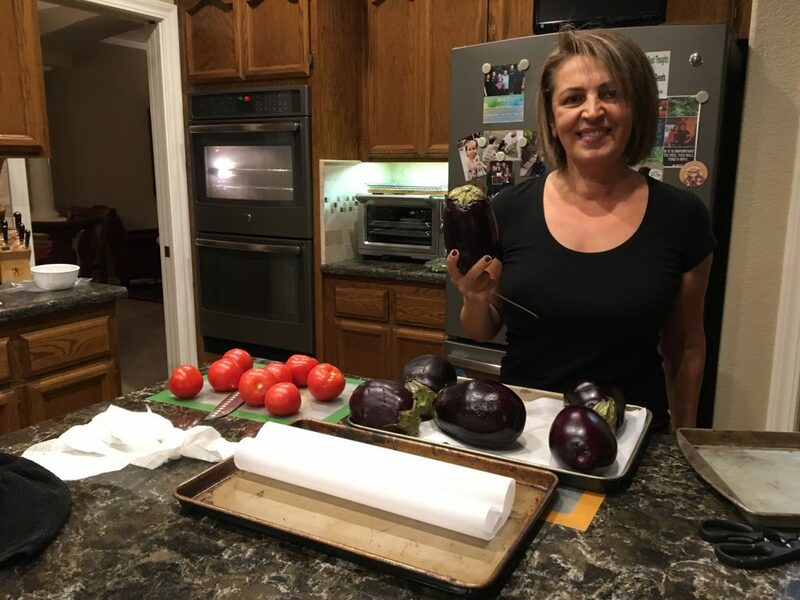 She teaches no oil – whole food plant based cooking classes in Southern California so if you live there be sure to take one of her classes. Her classes are posted on her Healthy Cooking With Shayda facebook page. You will need to register for Shayda’s Free Persian Cooking Webinar by clicking here. No worries if you can’t watch it live on Monday October, 15th 2018 at 6 PM Pacific time becuase there will be a free replay to watch when it works best for you. She will be showing how to make two recipes. 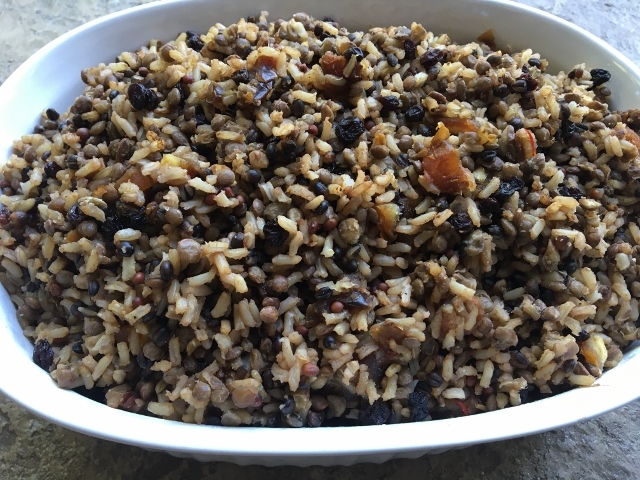 Lentils and rice in the Instant Pot – super easy and delicious. You will also learn how to make Herbed Rice and see the famous Tahdig – the pan fried crispy layer at the bottom – made without oil, Yes it can be done and Shayda shows you how!